He designs Android apps you love and writes Android blogs you read -- so how does Liam Spradlin use Android in his own life? In the world of Android-connected professionals, we tend to see two different types of people: those who design or develop for the platform, and those who observe and write about it. Liam Spradlin is a rare case of someone who falls equally into both categories. If you're an Android enthusiast, you've probably seen Spradlin's work -- whether you realize it or not. He writes all sorts of stuff for famed Android blog Android Police, including the meticulously researched "Stock Android Isn't Perfect" analyses. And he spends just as much time doing design work for fan-favorite Android apps like Nova Launcher (where he was responsible for the app's recent Material Design overhaul) and Today Calendar (where he reimagined much of the app's visual interface). So how does a guy who straddles so many different sides of Android use the platform himself? Time to find out. 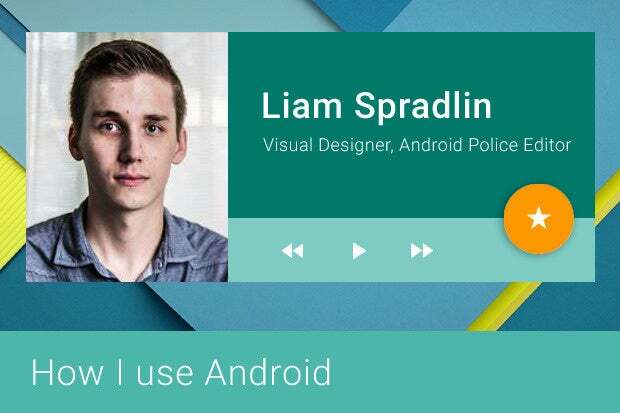 In his own words, this is how Liam Spradlin uses Android. Your current primary phone: Right now, I'm switching back and forth between the Nexus 6 and Moto X. I got used to the enormous size of the N6 pretty quickly, but the smaller Moto X with a bamboo back is nice, too. They both have the advantage of a stock (or near-stock) Android experience and front-facing speakers. What case is on your phone (if any): No case for me. I almost never use a case (except the cases I've reviewed in the past). I want to see all of a device's industrial design without any added bulk. Your current tablet (if any): That's the Nexus 9 right now. The N9 definitely has its quirks, but I like its 4:3 aspect ratio, the front-facing speakers, the awesome origami cover from Google (does this count as a case? ), and the dream that one day it will have some sort of sensible multi-window functionality. 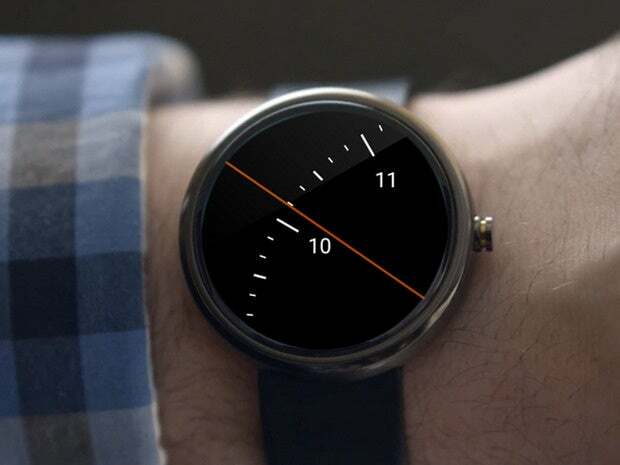 Your current smartwatch (if any): When I wear a smartwatch, it's the Moto 360, but I'm really waiting on the Huawei Watch or some other beautiful, second-gen Wear device. The 360 is one of the nicest looking Android Wear devices so far, but it definitely has its own problems, so I'm interested to see what comes next. What face you're using on your watch right now: Spotlight is my go-to watch face. It's a simple and interesting idea that's executed really well. I've tried tons of watch faces, but ultimately, I come back to this one. A quick walk-through of your phone's home screen setup: I have three home screens, and two of them are empty. I do this because I like to have a symmetrical set of dots above the dock. A Google folder, pared down to Play Store, Play Music, Google+, Maps, Newsstand, and Keep. Inbox (now that Apps support has arrived, I've left the Gmail app behind). A "Team Talk" folder for collaboration apps (with Hipchat, Slack, and Dropbox). A "Projects" folder, where I keep apps that I'm working on. That one right now contains Focus, TeslaUnread, Nova Settings, Today Calendar, Feed Me, AllCast, and a few others. What launcher you're using: I'm using Nova Launcher, of course! I like Nova because it allows users to stay close or get far away from the stock Google experience based on their preferences. For me, the ideal setup is pretty close to stock with a few tweaks, but the options are there when I want them. Plus, there are a few imperfections in the stock design that we were able to fix in Nova (like the folder background assets), and there are plenty of other awesome things yet to come. What wallpaper you're using: My wallpaper is one I made myself, as part of a series of explorations using actual paper in digital illustration. Basically, I got a ton of different paper materials, digitized them, laid them out, and added things like edges and shadows. I posted a tutorial and download links on my personal blog. Anything else of note (interesting customizations, special icons, etc): I've switched a couple of icons around using Nova, but so far, that's about it. I used to be much more into flashing between different ROMs and really testing things out, but these days, stock Android (and Moto's near-stock experience) are good enough that, personally, I don't really feel a need to do much tinkering. Beyond the obvious stock Google programs, a few apps you can't live without right now (and a quick word about why): The selection of apps I use on a day-to-day basis is actually fairly minimal, but there are a few that might be worth pointing out. Of course, I use all the apps I've worked on, with Focus being the latest. It's a gallery app with a handy tagging system. Besides the apps I've helped out with, I am a big fan of Weather Timeline. It has a really well-designed interface and great widgets. Markers (by Dan Sandler) is another app that I always install on every device. It's just a fun app for idly doodling. I've also been playing with Monospace, an app Jack Underwood is working on. It's still in beta, but Monospace is an absolutely minimal writing app with useful things like tagging, text formatting, and Dropbox integration. Plus, it makes use of Google's new Roboto Mono fonts. Then there are a few more esoteric apps that I use for design work. One of them is Palette Helper, which accepts images from your device and provides values from the Palette API. You can even copy the resulting values to your clipboard for quick sharing. Incidentally, I fed my current wallpaper through Palette Helper to get the custom color for my Weather Timeline widget. 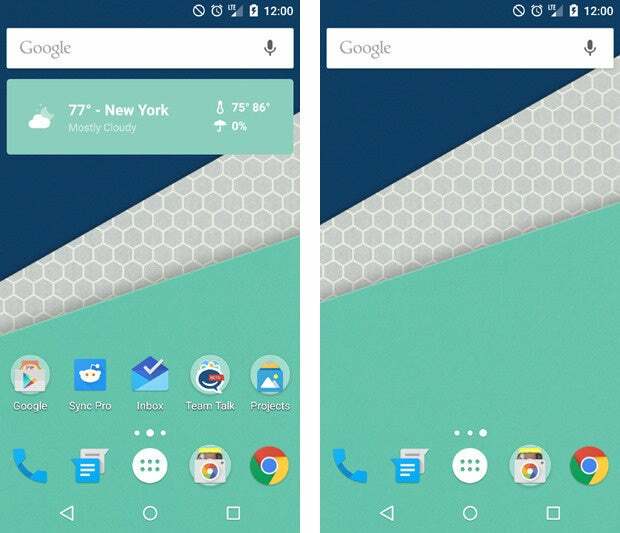 Another app is Clean Status Bar, which basically puts a (customized) status bar over your normal status bar so you can take clean screenshots for use in the Play Store or wherever. It even supports the new status bar "light mode" for Android M.